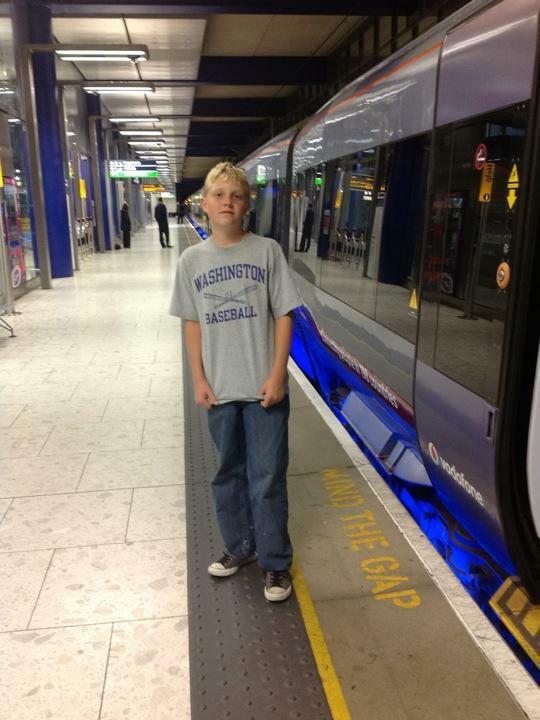 We took the Heathrow Express train from the airport to Paddington Station, which is located at the edge of London. The station was busy with activity and there is lots of places to get good things to eat. The highlight was Yo Sushi, where little plates of food drift by your seat and you choose what you want to eat and take it off the conveyor belt.